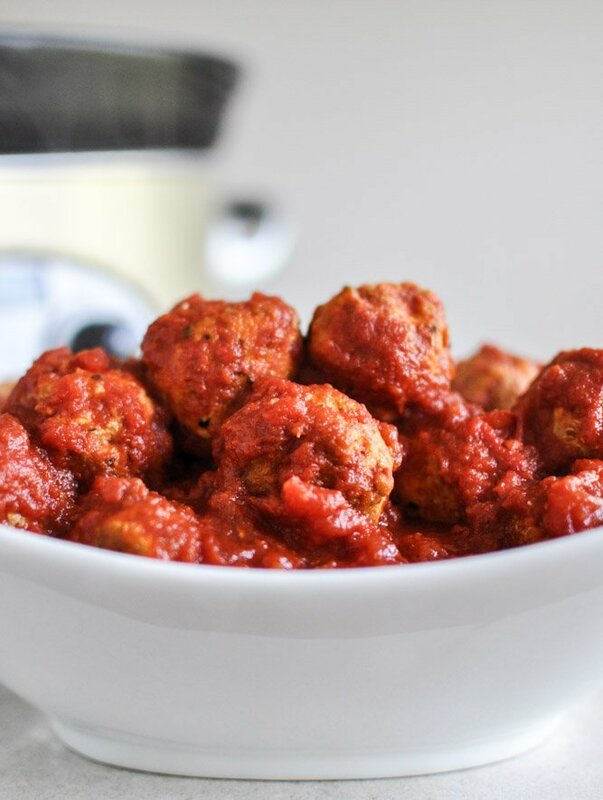 Do you know how many meat balls are a serving? 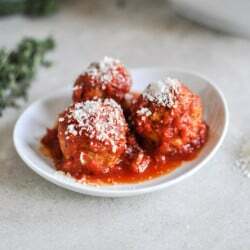 If I don’t have time to cook these in the crockpot, can I cook the meatballs a few minutes longer in the frying pan and then cook them in a pot on low for 30 minutes or so? Will they still taste good? Hi Jen! These look awesome- they’re in the crock pot now and the house smells delicious!! So psyched for dinner :) Thanks a bunch! OMG so amazing!!! I had these slow cooking for 8-9 hours while I was at work and then served over a bed of soft roasted vegetables. Added extra passata to completely submerge the meatballs and it was deliciously super saucy. I don’t know how a sauce that is just onion and tomatoes can be so delicious! Thanks for the recipe! Haha totally laughed at your part about using the items in your fridge – I’m not the only one who gets excited to re-stock before I’ve used the miscellaneous items I already have? 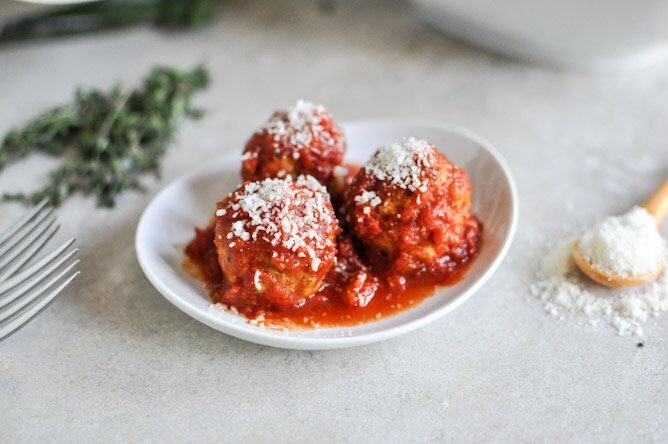 These look amazing – love the idea of adding quinoa! the recipe calls for 2/3 cup cooked quinoa – first time using quinoa. does that 2/3 cup measurement mean cook 2/3 cup dry quinoa and use the results of that for the recipe? or do I cook the quinoa and then use 2/3 cup of the cooked resulted quinoa? So glad I found this recipe. I’m making them tonight. Pingback: 15 Surprising Recipes You Can Make In The Crockpot - Skinny Ms.
Do these freeze/rewarm well? I am cooking for one, and I don’t like to eat the same thing for more than a day or two. Pingback: 15 Mouth-Watering CrockPot Appetizers Recipes - A Worthey Read! Pingback: Healthy Slow Cooker Recipes. Make Mealtimes Easier! This is a fantastic recipe! It has become a family favorite over the years. We never get tired of these delicious little mouthfuls!